3 Products in 1. This little unit combines the 'all season' functionality of a heater, air conditioner, and a dehumidifier all in one powerful product. Portable. 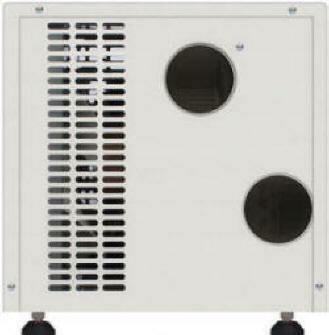 Compact and lightweight, this unit is perfect for applications where you need to bring temperature control with you. Reliable. 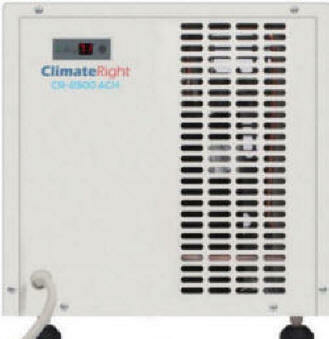 This unit is engineered with durability in mind and comes with a one year limited warranty from ClimateRight. Energy Efficient. The system generates 2500 BTUs of power from an ordinary 110v outlet or a remote power source like a small generator or inverter. Comfortable and Safe. With full temperature control, keep living conditions at the perfect level providing both safety and enjoyment for people or pets. Practical. 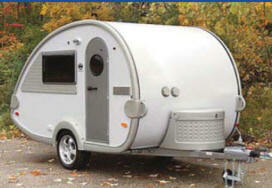 This unit has found its way into many common application areas including dog houses, teardrop trailers, garden/work sheds, small campers, kiosks, ATMs, toll booths, guard booths, parking lot attendant booths, boat cabins, and other uses involving small enclosed spaces. Scaleable. 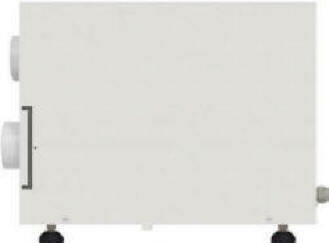 When applications require more power, use multiple units to provide sufficient heating/cooling, also providing greater protection due to redundancy in the event of a single unit failure. Or move up to the CR-5000. Finally, a way to keep your pet comfortable in both hot and cold weather. 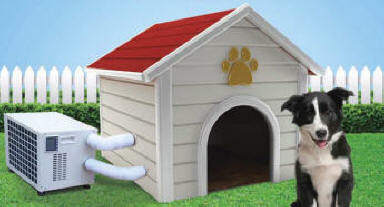 The Dog House Air Conditioner by CLIMATE RIGHT is just what you need to keep your pet comfortable in all seasons. The CLIMATE RIGHT Dog House A/C can be used in either a Securepets Insulated Dog House or your existing pet house (pictured at left). For summer use, these Dog House Air Conditioners provide 2500 BTU of cool, filtered, dehumidified air to keep your pets' house comfortable. In the winter, the CLIMATE RIGHT Unit provides fan-forced electric heat to ensure your pets comfort on those cold winter nights. 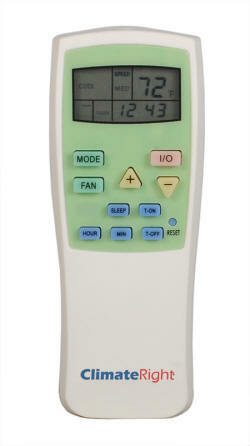 The ClimateRight CR2500-ACH's electronic thermostat includes Heat, Cool, Fan, Dehumidifying, Auto and Sleep Modes. The unit also features an Auto-On and Auto-Off timer, 3 fan speeds and comes with a infrared remote control. All control functions are performed from the remote control. The CLIMATE RIGHT unit weighs only about 50 pounds making installation and moving it a breeze. It includes a patented internal digital thermostat (62-88 degrees F) for both heating and cooling, and is suitable for locating outdoors. 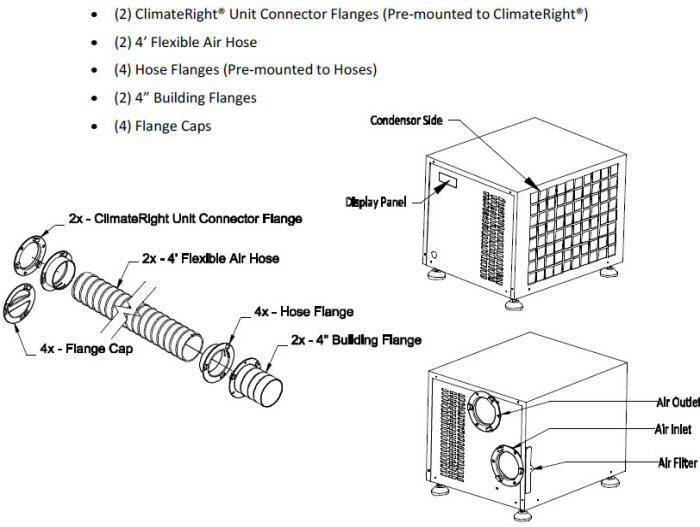 The CLIMATE RIGHT unit also includes an installation kit with everything necessary to connect your CLIMATE RIGHT to your pet's house. Installation involves cutting the air duct holes using the supplied template, mounting the through-wall plastic couplings and connecting the flexible ducts between the pet house and the heat/air unit. 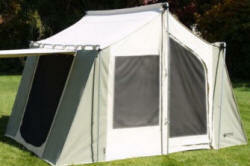 You will need an electric drill, a flat head screw driver, and about 30 minutes to complete the installation. Air Conditioned Dog Houses by CLIMATE RIGHT ... Simply the Best! 2500 BTU up to 400 Cu. Ft. It just doesn't get better than this!!!! 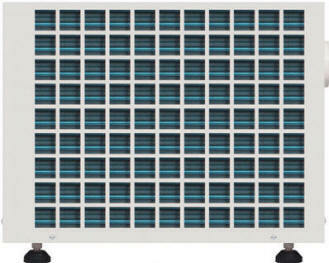 5000 BTU up to 1200 Cu. Ft.
Quick and Easy Assembly - Watch the Video! Up to 400 Cu. Ft.
19" x 15" x 15"
Product information, specifications, and photography in this website were as accurate as possible at time of publishing. Photographs may contain some features that are optional or no longer available. Since we continually strive to improve our products, actual products may differ. Specifications are subject to change without notice. All Warranty questions must be directed exclusively to orders@climaterightair.com for processing.